The state has the money to fund Measure 2. We have almost $2 billion in the school lands fund and the state is taking in $4.8 million a day. There is no reason we cannot get rid of property tax and use the money we have coming into our state through the increased collections of sales tax, income tax and all the other taxes the state has over collected. Measure 2 will be the people’s refund of the over-payment. Out-of-state property owners will not benefit the most. Eighty-four percent of the property is owned by North Dakotans and 93 percent are living in homes in North Dakota. 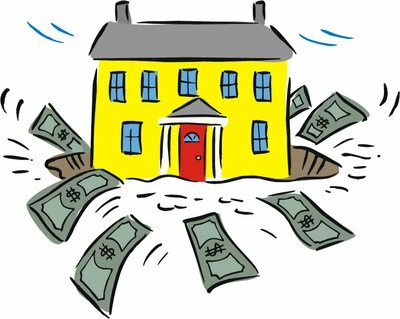 No one can buy your property if it is not for sale, but if you do not continue to pay the property tax on your home, the county will take it and sell it, you won’t get one dime of it. Out-of-state corporations pay the most income tax, 60 percent of the income tax collected. Property tax is paid by only 16 percent out-of-state owners and income tax is paid by 60 percent of out-of-state owners. Measure 2 allows the Legislature to tap into those 60 percent out-of-state payers to fund the local services along with all the out-of-state workers who must pay income tax and sales tax but are not paying property tax. Measure 2 is a constitutional measure for a reason, because it gives “we” the people the key to unlock our state resources to fund the services our property tax was funding. Measure 2 gives “we” the people the control back to say we do not want to use our homes, our properties to fund our services. Constitutional measures can be changed by “we” the people going to a vote, if we vote yes and don’t like it we can come back as early as 2014 and change it. Vote yes, it is the key to owning your home and property without a perpetual payment to the government. WHERE DO WE GET THE REVENUE TO PAY FOR WHAT IS NOW PAID WITH PROPERTY TAX? In the last 50 years, only one U.S. state has abolished a major tax (general sales, income, or property). It’s Alaska, which abandoned its income tax after oil started flowing down from the North Slope through the Alaska pipeline. Alaska is now so flush that it has no income or sales tax and it sends an annual oil rebate payment to all of its residents. For this reason, I’m usually dismissive of proposals to repeal major taxes at the state level—I tell lawmakers that unless they find a huge and unexpected oil deposit under their state, repealing a major tax simply leaves too large a budget gap to manage. Well, North Dakota might be up to my challenge. The Census Bureau just released 2011 state tax collections figures. And tax collections in North Dakota have soared—up 44.4 percent over 2010, all on the strength of the oil and gas boom in the Bakken shale formation. Severance taxes (taxes on natural resource extraction) rose 65 percent from year to year and now make up 49 percent of the state’s tax collections. Other taxes were strong, too—the boom in oil-related activity has led to big increases in income and sales tax collections. Put another way, the year-to-year increase in severance tax collections ($745 million) is equal to 172 percent of the state’s total 2011 individual income tax collections ($433 million). It sure looks like North Dakota doesn’t need an income tax anymore. In June, North Dakota voters will actually vote on a constitutional amendment proposal to abolish property taxes in the state. This would be an odd move; if passed, North Dakota would become the only state without property tax. (Seven states have no personal income tax and five have no sales tax.) If the property tax proposal doesn’t pass, look for the state to abolish its income tax—or, if the Bakken is productive enough, perhaps it can get rid of both. GET INFORMED….READ THE MEASURE! YOU WILL BE A YES VOTE. YES – means you approve the measure as summarized above. NO – means you reject the measure as summarized above. 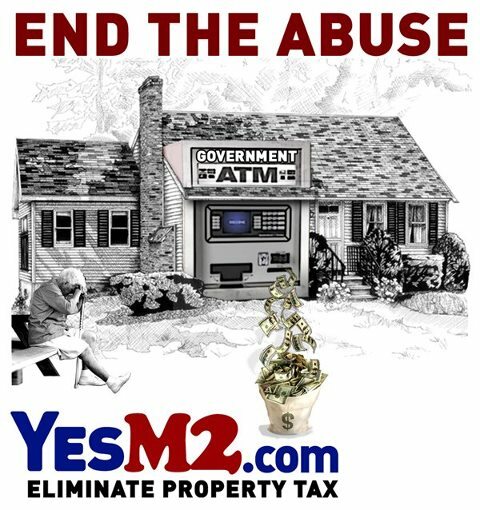 Vote YES on Measure # 2, ND to repeal property tax. All ND County governments receive an F on transparency from the Sunshine Review .org, group that rates all the States, Counties, and Cities for the transparency in the accounting of money. States receives a B rating. The claim that counties are better suited to look after the needs of the people is inaccurate, since local county governments do not even comply with public records laws to keep an accurate account of where the money is. TAXPAYERS have no way of seeing where and how money is spent. This is horrible ratings for Counties- F.
http://sunshinereview.org/index.php/North_Dakota >>>>>> Independent National transparency watch dog group. None the less, Measure 2, requires the state to block grant whatever revenues will be lost back to Municipalities with NO requirements on how they spend the money. The claim that local county government is better suited than State funding, is then a NON STARTER since Measure 2 gives local government the flexibility they now don’t have. They no longer can be mandated on how they use their State-fund grants, as is now the case with property tax. They would be free to move funds to the current area of local need. Counties and others therefore, are inaccurate in the FEAR of loss of funding or control of the same, nor are the other Nay Sayers, that OPPOSE Measure 2 accurate, based on their FEAR of a lack of funding . http://empowerthetaxpayer.org/main/m2faq >>>>>best link will answer any question! Repealing the property tax is a win, win for all. Property tax is a regressive tax and discourages entrepreneurship. It forces citizens to pay year after year to keep what they have already paid for. These taxes are raised at will with no limit on increases. It is unconstitutional to cause people to pay repeatedly to keep what is theirs. This forces a particular group of people to pay for ALL the services of ALL the people and is therefore fundamentally wrong and an unfair tax. The State Politicians and County & City officials that oppose Measure 2 are either uninformed, or pulling a scare tactic to have things stay as is, so they can continue to squander funds, without any effort at fiscal conservancy that gets a lot of lip service only, at this point. At the very least to them, NO tax relief is a good thing! Funny thing, all who are opposing Measure 2 are either the people in control of the people's money or the people that have control of spending the funds or the people who have been INTIMATED into believing that essential funding will NOT be available to them if the measure passes!! The measure mandates the state replace the funding back to the Counties and cities, and Local municipalities , so this is not even an issue FOLKS!. The state has record revenues. If they want to go & raise other taxes UN-NECESSARILY, or inequitably, even if it were necessary, and I think it unlikely that the state cannot easily come up with 1.6 billion by better stewardship and eliminating waste, considering the high revenues flowing in by record amounts every day! http://empowerthetaxpayer.org/main/m2faq >>>>>>What about local control --really? Our elected officials can answer to the PEOPLE come election time if they play, 'PUNISH THE PEOPLE' for demanding tax relief. The people of this country are tired of politicians that have forgotten that America is a Country governed with the Consent of the Governed. I notice, of the Big Name Organizations such as ND Farmers Union- they themselves don't pay property tax, (exemption) have the audacity to claim to speak for all their members (42,000) with a ridiculous Slogan Type Demand to Vote NO Note --sent out to ALL members at ALL members expense with no real facts check valid reason to support their opposition to Measure 2 other than we declare so! Always notice what is NOT said. People opposing the Measure seem to not ever print the actual Measure. Politicians supporting the defeat of what has always been a fundamentally unfair tax, are mostly the party that claims to be for lower taxes. Property tax, imposed on business, family and seniors or anyone else that might endeavor to pursue the American dream and achieve any kind of property ownership, must endure this regressive tax. Renters are affected as well. Rents would not rise in response to the tax factor which now is a fixed cost of rising Property taxes for landlords. Property tax increases are a major part of rent increases, more so than demand or other increase cost in supplies. This is especially a concern to Ag Rent Increases, since Property taxes are on track to increase on Ag land for 2012 as much as whopping 30% which will be passed on. The GOP, the party of lower taxes and supply side economics! You have forsaken basic conservative platform principles. You've chosen to ignore the multiplier effect of lower taxes in this INSTANT. All you Supply Side Regan Economics People! You can’t make a credible case by having it both ways! I think it's time all the 'THROW GRANDMA OVER THE CLIFF' scare tactics end! Being a senior does not make you stupid! GRANDMA can buy a lot of stuff without having to pay for the 50th time to KEEP her house! Have you noticed that most of those people against Measure No. 2 (property tax elimination) are on the receive-and-spend side of property taxes? As far as I can tell, they are the ones who ride in the wagon. The average property taxpayer could be considered the horse that pulls the wagon. People in the wagon do pay property taxes, but a large majority of them feel it's just an irritating incident that occurs on Feb. 15. If someone else in the wagon is upset by their property taxes, they just negotiate more salary to pay their property taxes. Now the horse (average property taxpayer) is a different story. He has no input into the assessed value of his property. He is also on the outside looking in when the mill levies are established. But his job is to pull the wagon, shut up and make no waves. One could fail to observe any local control here. The tax-and-spend people are jumping into the wagon with statements like "It's only 5 mills - who can object to that?" and "Increased property values are the American way." Wel, the horse is now saying, "Enough, already. It's time to drop the harness on the state where money is being stacked in the hallways." The status quo is so comfortable and the ruling class likes the deck chairs right where they are on the Titanic. Some of our seniors who have lived here for decades are either moving out or being thrown out because property taxes are approaching $300 a month. And don't give me the Homestead Credit speech - all that does is pass the obligation on to the rest of us. Farmers and ranchers are having their land values raised statewide - about 22 percent for pasture and 32 percent for crop land. Does that equate to higher property tax? No, but we all know what's coming. Read the measure. You will marvel at how well it's thought out. Comments in regard to the March 13 letter from Nick Archuletta. Measure 2 is well written and researched. Almost 30,000 North Dakota residents signed the petition for it. Measure 2 does not take away your right to vote. Our rights are preserved. The way we pay for services is changed. Measure 2 will ensure school boards get to decide what is best for their location with 100 percent state funding. As a North Dakota Education Association regional director, Archuletta should know the schools and their patrons did not lose any rights when they accepted more money from the state Legislature — funding the schools at 70 percent of their budgets. The measure can be read in its entirety at http://www.yesm2.com/ along with the research. Only a portion of the revenue collected for our local governments is from property tax. If the homework had been done, he would have found the city of Bismarck property taxes at only 15 percent of the revenues and Mandan at not quite 8 percent. Did you miss the almost 90 percent of “local” control? I didn’t think so. Who wants to control whom? 131 days to replace all revenue for our sister cities and just under 20 days to replace what is generated with property tax. 50 precent of us homeowners stuck with the property tax tab. What could you do with some “real” property tax relief? The decision is yours. Do your homework. I did, and I am voting yes on Measure 2. I say vote YES to Measure 2 or vote no if you want to continue to have your home held hostage by having your property taxes continuing to increase at an unsustainable rate. A Fargo newspaper editorial calls those in favor of Measure 2 “dumb”. Anyone who belittles and calls people names is using a technique an abuser would use to control their subject. NO one likes to be called names and just like the bully on the playground, they will use name-calling to intimidate. Fear is a great way to control people. Knowledge is power, read the measure. The Comprehensive Annual Financial Report As of the close of fiscal year 2011 the State’s governmental funds reported combined ending fund balances of $5 billion, an increase of $1.2 billion Everyone should be allowed a homestead “credit”; Measure 2 is for everyone. In a previous Tribune letter to the editor from Evelyn Jacob, she may believe Measure 2 will eliminate meals on wheels, and hurt the elderly. ND ARRP has posted in a response to Measure 2 support on facebook “Senior Service Providers have said the loss of county mill levy funds would be devastating to their ability to provide congregate-and home-delivered meals, health services…...” There is no reason, no excuse why our taxes could not continue to fund meals on wheels and senior centers Measure 2 will not cut funding, with Measure 2 more could stay in their homes longer. With the passage of Measure 2 it will prevent anyone from having their home taken for non-payment of property taxes, because property tax will be eliminated. I say stop scaring grandma. Fear is what will paralyze and hurt our families. M2 is 4 U. No other state has eliminated property taxes. In North Dakota will they be brave enough to be revolutionary? We won’t have to take up arms as our founders of our country did, all North Dakotans will have to do is go to the polls on June 12, 2012 and vote YES on Measure 2. Measure 2 is for you.